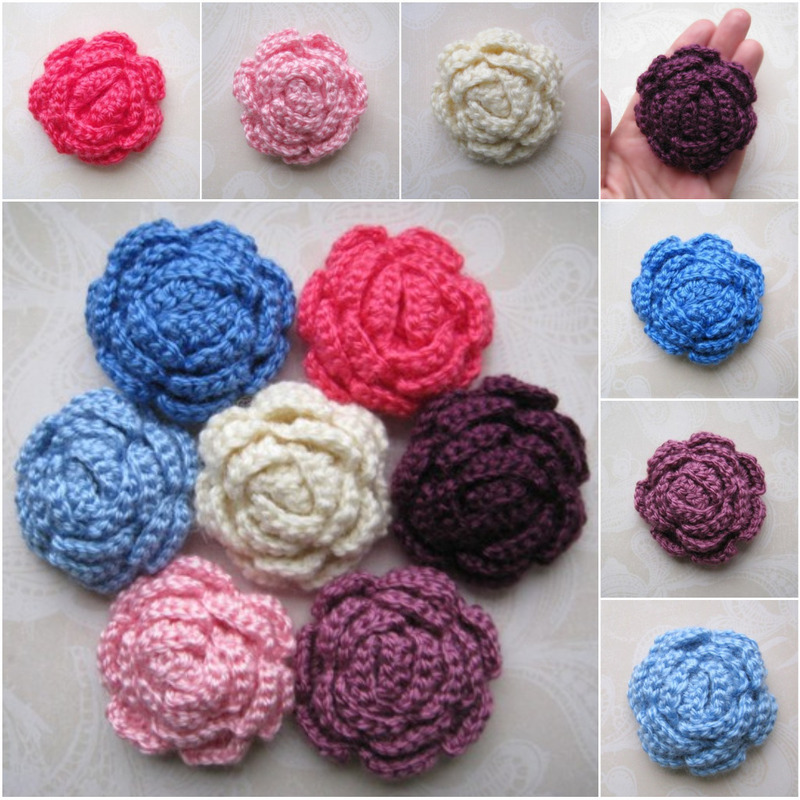 Beautiful 3D Crochet Flowers perfect decoration for hats,scarfs, hair accessories, bags, pillows and so much more. They're measure approximately 2"-2 1/4" (5-6 cm) in diameter. Crocheted with wool yarn.